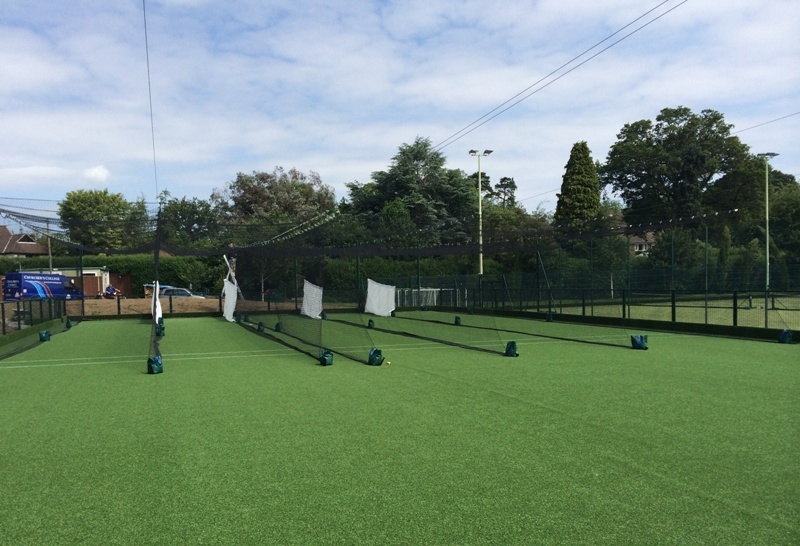 With students utilising mobile batting cages on a macadam tennis court for their cricket practice sessions, Churcher’s College was keen to upgrade its cricket practice facilities whilst also creating an area suitable for general play and informal sport adjacent to the site of new nets. During the initial site visit, total-play suggested its cricket-based MUGA could provide the ideal solution; offering an ECB approved surface that provides the required bounce and encouragement of turn for the modern game yet, thanks to retractable netting, can be quickly and easily transformed into a pitch suitable for other sports. With the solution agreed, total-play started work on the construction of a 40m long x 20m wide surface to its ECB approved tp365 system design. Before installation could commence, however, the site of the new facility had to be cleared of a large soil bund created by contractors working on the adjacent full-size artificial pitch.To avoid expensive ‘muck away ‘charges, total-play used the bund to create the facility’s formation layer and a number of spectator bunds; challenging earthworks that took the team over a week to create, yet provided a useful solution to the problem at hand. 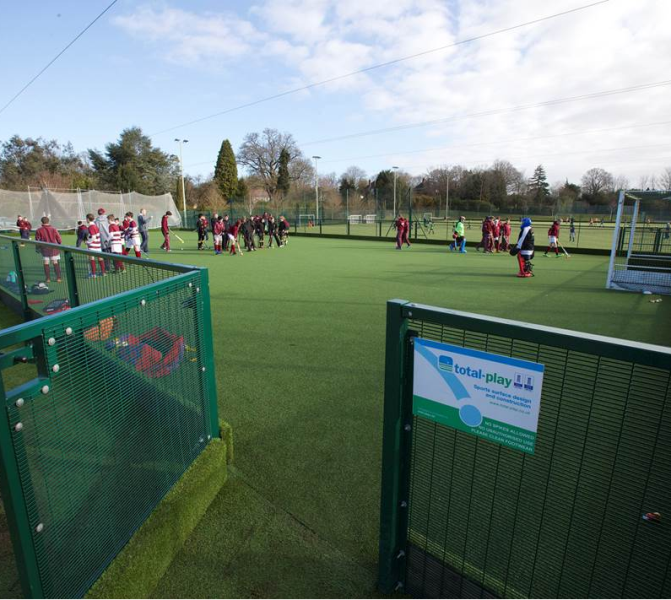 Once the new surface was laid, 1.2m high sports mesh fencing was installed to the perimeter along with a non-turf viewing / access path to the perimeter of the facility to ensure the cricket MUGA remains a ‘clean’ facility. 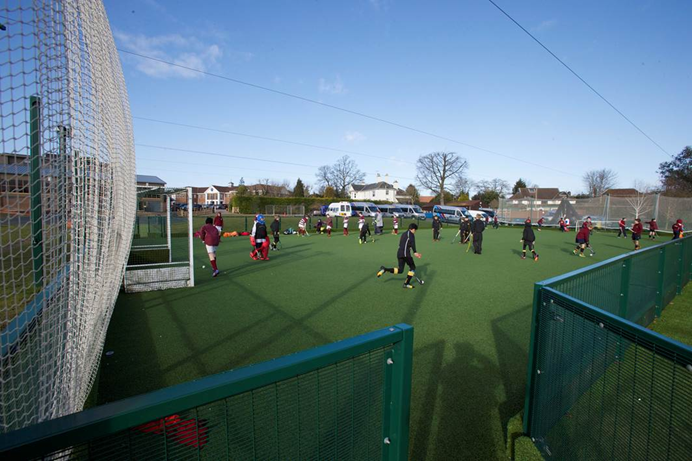 Timber kick boards – covered with a continuation of the top layer carpet to reduce noise – were also included in the fence design to provide additional longevity to the fence and reduce potential damage from hockey balls strikes. The facility was completed by the addition of 5 lanes of retractable cricket nets, with a back net to act as integral sight screen.